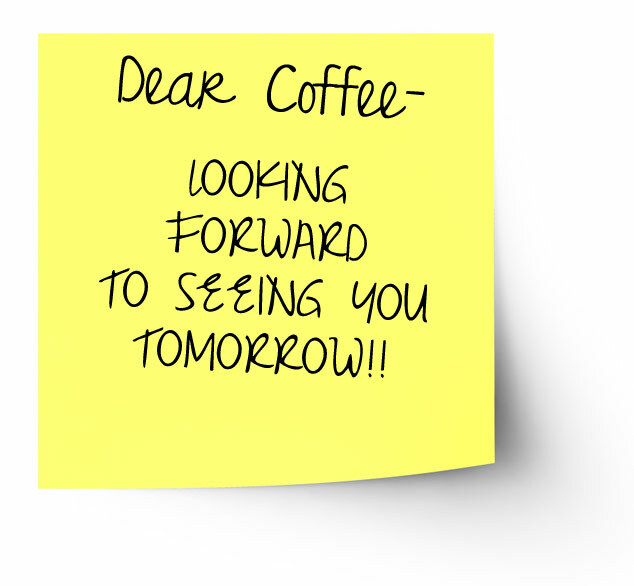 A post-it note you may see on the coffee maker. We created the animated gif version and a jpg version for those that prefer to not have the animated words. Sweet dreams of coffee. See you in the morning my love.